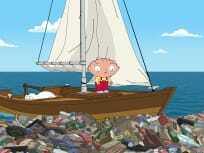 On Island Adventure Season 17 Episode 17, when Peter throws out Stewie's cherished big wheel tricycle, they ended up on "Garbage Island" trying to find it. 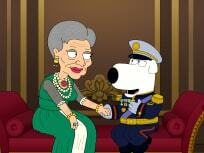 "You Can't Handle the Booth"
On Family Guy Season 17 Episode 16, the Griffins provide DVD commentary on a recent episode and reveal never-before-told drama between Peter and Lois. 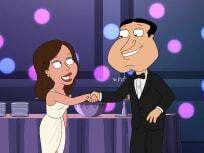 On Family Guy Season 17 Episode 15, Quagmire finds out he has a daughter and to everyone's surprise, makes a serious effort to embrace parenting. 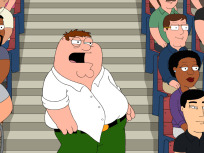 On Family Guy Season 17 Episode 14, after a mishap, Peter decides to take his health more seriously and diet with the help of Quagmire, Joe, and Cleveland. 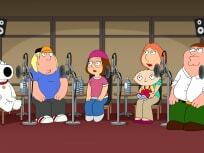 On Family Guy Season 17 Episode 13, when Peter is mistakenly identified as transgender it leads to an unexpected event and an important learning lesson. 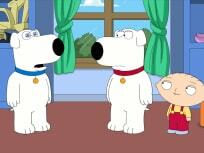 On Family Guy Season 17 Episode 12, Stewie makes a robot duplicate as a living biography of Brian when he worries about the legacy he'll leave behind. 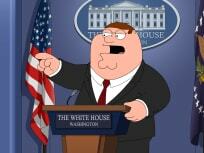 On Family Guy Season 17 Episode 11, when the Griffins move to Washington, D.C., where Peter is hired as the new White House Press Secretary. 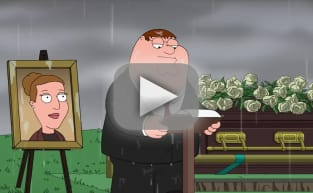 On Family Guy Season 17 Episode 10, Peter's hair turns white from a ghost-hunting adventure, and his new look grabs the attention of local news anchor. 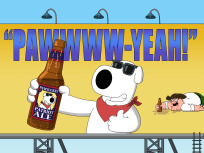 On Family Guy Season 17 Episode 9, the Pawtucket Brewery hires new bosses, and peter and Brian go head-to-head to be crowned the new face of Pawtucket Ale. 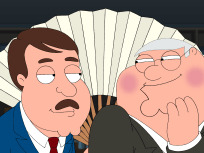 On Family Guy Season 17 Episode 8, Peter and Chris battle for Mr. Herbert's affection while Stewie and Brian compete for the inheritance of an older heiress.